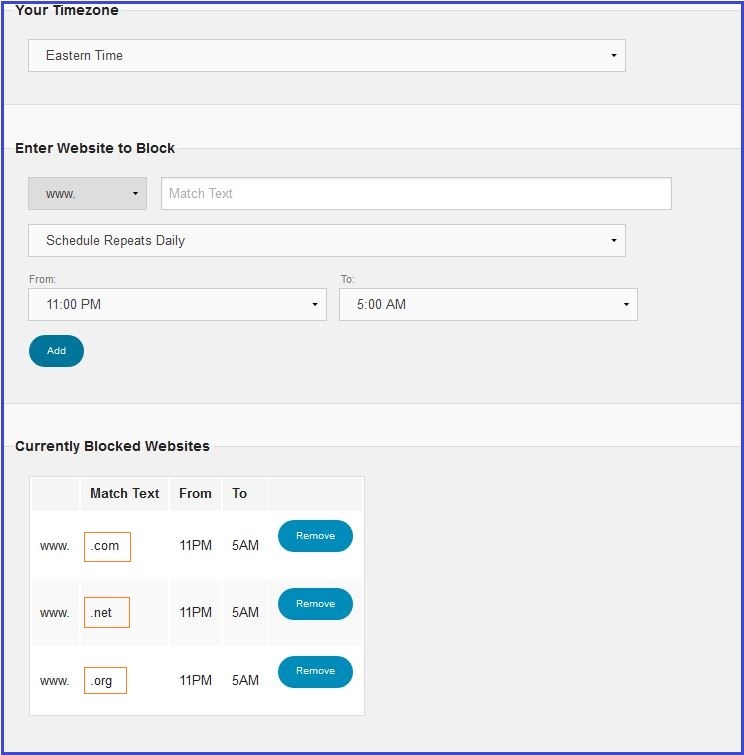 With Timed Filters you can block access to specific websites, or the entire Internet on a custom schedule. Enter the website to block. Just enter the last portion of the website. Example, to block access to http://www.facebook.com, just enter ‘facebook.com’. Set a daily or weekly schedule. Each timed filter corresponds to one time range and during that time range, the site in question will be blocked. You can add multiple rules for a given site, so long as the ranges do not overlap. Weekly Example: You create a Schedule Repeats Weekly rule to block facebook.com from 9 AM to 11 AM. This means that from Monday at 9am through Friday at 11 am facebook.com will be blocked. 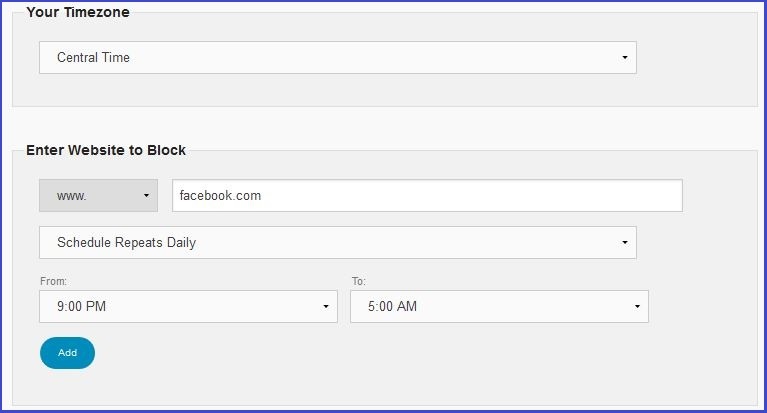 Daily Example: You create a Schedule Repeats Daily rule to block facebook.com. This means that from 9 AM to 11 AM each day facebook.com be blocked. NOTE: You can block as many TLDs as you need.